Keep the goal in the mind. . . . PC: Adel Merchant. This photo is almost four years ago now, but it feels like yesterday. Huge shoutout to this man Eric Lee for all the work and resources he has put into my badminton career as well as into the badminton community as a whole. From analyzing my game and putting data into spreadsheets to helping plan, coach me, raise funds, set up training, the list goes on, he has done it all. His investment in me and in the badminton community is huge. Thanks Eric, I wouldn’t be here without your help! Winning is not the right thing. It is the result of doing the right thing (everyday). Performing well (right/winning) on competition day is reliant on the quality of things done on every day leading up to the competition. Train hard and right today and watch the results come. Part of training right is surrounding yourself with experts to help guide and push you through the training. 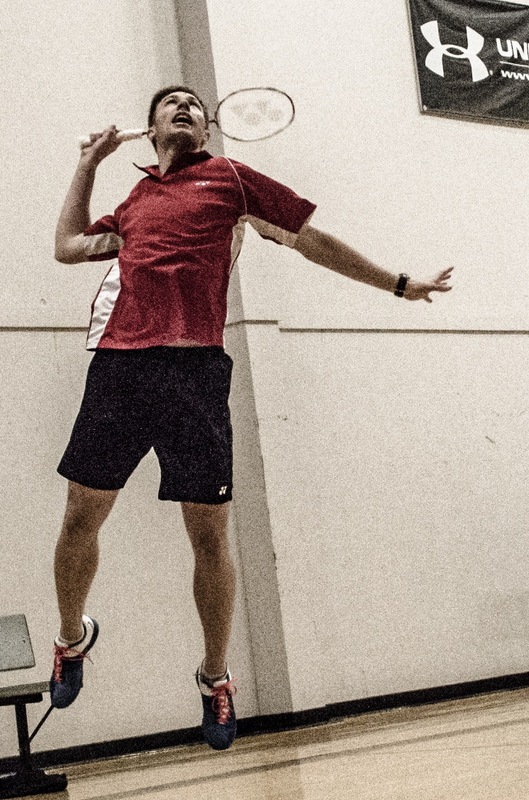 The guidance and support of @sweatytraining , @eastmantherapycentre , and @gao_badminton_tao and many many others has been invaluable in the past months during my recovery from my injury, and will continue to be invaluable as I improve and move ahead. Thank you everyone for your support! Onward and upward! Also thanks to @yonexcanada and @outlawlaboratory for the support! Always a great to work with @sweatytraining! I am pumped to keep moving forward and I say a huge thanks to Jeff for helping me take the next steps and for guiding me in my strength and conditioning and my performance! Thanks Coach! Always a privilege to coach in different places. Yesterday my play at Brazil International ended with a tough loss to Italy in the last 32. I gained 920 world ranking points in the process. I am really pleased with the training and my adjustments that I made here, as well as my overall competition performance. Losing is never fun, but I am playing at a good level, and only improving. I am pleased to be competing with people who train full time and compete at three or four times as many International events as me. This is a good sign. I am doing the right things and making progress. I leave on Sunday for Cuba. Looking forward to improving on my performance and continuing to push my limits. I have a long journey in front of me–good thing I like to sweat! haha. If you are interested in supporting me, check out my gofundme. or email me at kibarkman@gmail.com. For a lot of people preparation means training all day and chilling at home, eating healthy, getting mentally ready, Ect. 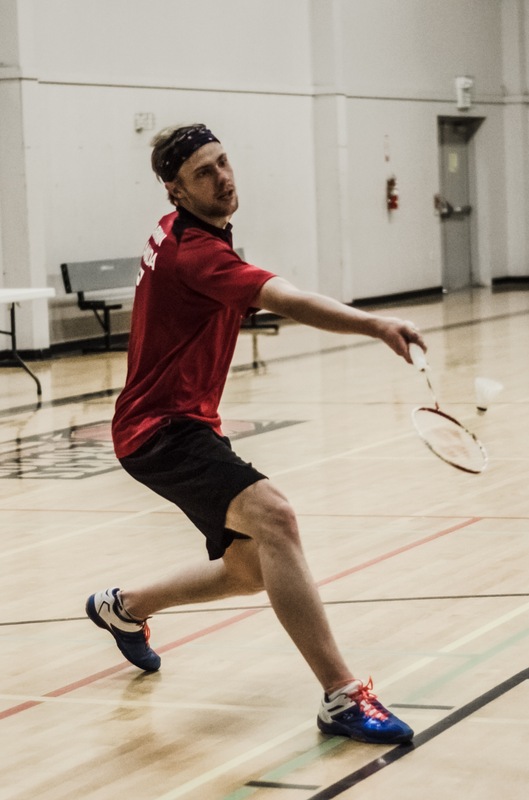 But for me prepping for the Yonex Canada Open, and the Yonext USA Open has meant a lot more than just training, though there has been plenty of that as well. Preparing well has also meant things like getting into a routine, looking for work, finding places to train, and even convincing my little brother to come feed me drills. It meant find a physical therapist, and a strength and conditioning coach, and even touring universities. Being prepared for a tourmanent means I spent a lot of early morning and late nights at the gym, and a lot of days either at work or in the office getting other things done. Am I fully prepared? Am I at my peak to play to the best of my potential? Yes and no, I don’t think I have fully reached my potential, I have a long ways to go yet, a lot to learn, and a lot more hard work to put in, but for where I am at I am as prepared as I can be. Sometimes being ready doesn’t mean you are actually ready, as much as it means you are courageous enough to dare, and to be confident that you put in the hours of effort before hand, so whatever the outcome you have no regrets. Being ready means being prepared to try fully, and be okay with the result you get. Of course, my going to these tournaments isn’t just about me, but about all the people who support me and help me out as coaches, PT’s, sponsors, freinds, employers, and everything else. Every game I play is a huge shout out to all these folks who also believe that dreams are worth chasing.